All about Turkey, geographical location, history, dostorpimechatelgosti, resorts, pictures of different places. The beaches in Turkey. The capital of Turkey - Ankara. Population about 72 million people. The area over 770 thousand square meters kilometers. In Turkey, the acting Eastern European Time (GMT +2), which lags behind from Moscow at one o'clock. The most popular long-distance transport in Turkey - a bus. Bus terminals cities in terms of equipment and services may well be compared to European railways. Density of railway network is low, and their speed is very different in the smaller side of the European. In addition to buses and taxis, along the coast of Antalya in 1999, was launched on the tram, and in 2007 it was decided to soon expand its network to other areas of the city. Payment is made on the tram conductor. Prior to the immediate vicinity of the city usually get on dolmushe (dolmus) - taxi. Most often this van. It is after a certain period of time walking along a certain route. Most communities have a parking dolmushey, each route is shown on the windshield. Payment is made during or after the trip, the fare is fixed. On January 1, 2005, Turkey introduced a new currency - the new Turkish Lira (Yeni Turk Lira, YTL or TRY), which contains 100 new kuruses (Kurus, Ykr). There are banknotes of 1, 5, 10, 20, 50 and 100 new lira and coins in denominations of 1, 5, 10, 25 and 50 new kuruses, as well as one new lira. Cash is best to bring in dollars or euros. The resorts and major tourist centers of exchange money at banks or exchange offices is not the slightest problem. Post offices (postane) denoted by the letters PTT. They are open on Mon-Fri from 9 to 19 hours, some with a lunch break. In places of tourist pilgrimage, some services are available and at weekends (for example, you can buy stamps or phone). In addition, the central offices of the tourist centers have the opportunity to exchange checks and cash, as well as send a fax. Phone cards (telefon karti) sold at post offices, and (for a more expensive price) in kiosks and grocery stores. International code of Turkey - 90.
International telephone services is available from anywhere in the country by entering the code 115 (note 118). Mobile works almost everywhere, and quite stable, but the roaming rates are very high. Theoretically, free incoming calls and local ties can be purchased SIM card from a local operator, but remember that if you insert it into the phone, did not initially sold in Turkey, to work in it, it will be of 10-14 days (on vacation, in general, it is enough). Official holidays: January 1 - New Year, April 23 - Independence Day and Children's Day, May 19 - Memorial Day Atatürk and Youth and Sports Day 30 August - Victory Day (referring to a victory over the Greeks at Sakari in 1922) , 29 October - foundation Day of the Republic. Ramadan (fasting) in 2008 - from 1 to 29 September. 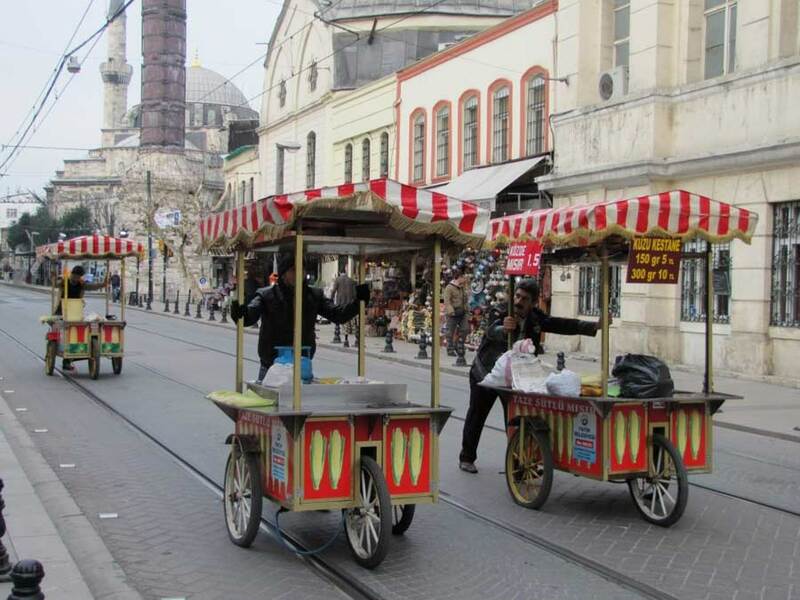 Religious holidays: Seker Bayram (Reker Bayrami, «Sugar Festival") is celebrated after Ramadan (in 2008 - roughly 1 October) and lasts three days. Eid al Adha (Kurban Bayrami, Feast of the Sacrifice, in 2008 - roughly 8 December) serves as a reminder of Abraham's sacrifice rejected, which is prepared to slaughter his son Ishmael. The festivities on this occasion lasted four days and are considered major Muslim holiday. In addition, there are various local festivals, for example, on September 9, celebrate the liberation of Izmir. The best time to travel to the sea - from May to October. If the main purpose of your trip will be sightseeing, it is advisable to go in the late spring (May-June) and autumn (September-October). In July and August tend to be very hot. The Turks are mostly friendly to the guests, a kitchen excellent, there is an adequate choice of where to travel, where to rest. Turkey is the heir to the three great empires - Hittite, Byzantine and Ottoman, and she cares for the preservation of monuments of the past, emphasizing the continuity of Ephesus, Temple of Artemis (one of the seven wonders of the world), the Roman Celsus Library, the Odeon. 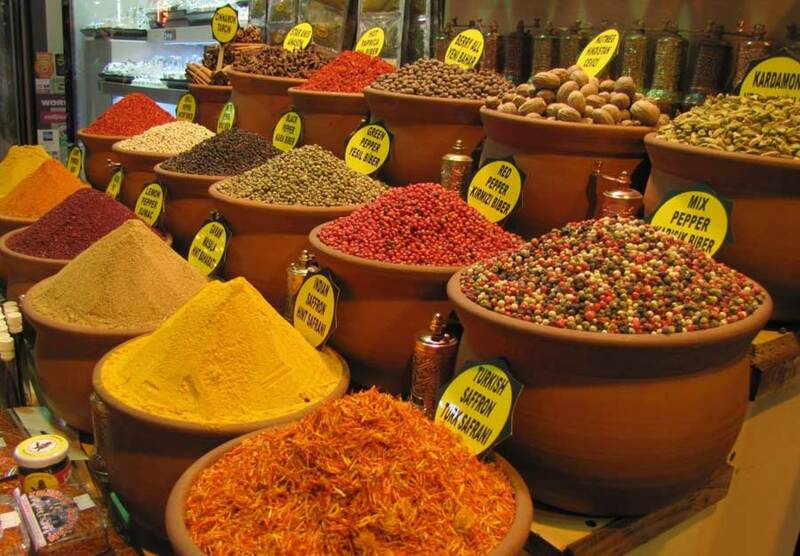 - Izmir (Izmir): great bustling city on the Aegean coast to the archaeological museum, bazaar, mountain Pagus and exuberant nightlife. - Pergamum (Pergamon) - * Bergama (Bergama): The magnificent ancient town, crowned by ancient acropolis, from which the world-famous Pergamon Altar (Altar of Zeus), now in Berlin. - Assos (Assos): The city, founded by the Greeks at one time in an extremely beautiful place, with well-preserved city wall. 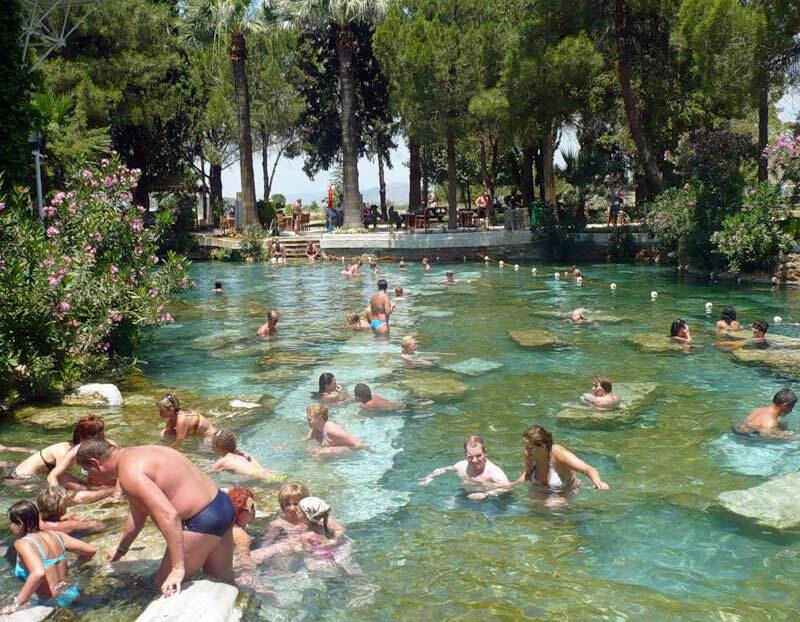 - Chesmensky Peninsula (Cesme): The beautiful sandy beaches and hot springs provide a good vacation and spa treatment. - Manisa (Manisa): The bustling provincial town with beautiful Aegean coast on the Ottoman mosques. - Selcuk (Selcuk) and ** Ephesus (Ephesos): The Archaeological Museum and the ruins of a former major Greco-Roman city included in the compulsory program of tourism "antique minimum." * Priene (Priene): The Greek city, climbing ledges on the mountain Mycale, the temple of the goddess Athena. - Miletus (Milet): The main decoration of the archaeological site - excellent preserved Roman theater. - Didim (Didyma): One of the most ancient oracles with a giant, but the unfinished temple of Apollo. - Afrodisiya (Aphrodisias): This gem of ancient cities, has a wonderful museum. 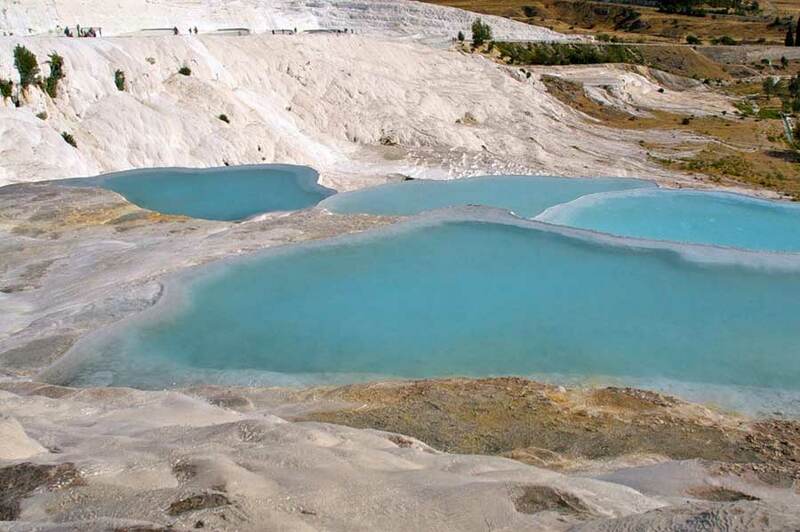 - Pamukkale (Pamukkale) and * Hierapolis (Hierapolis): A unique combination of limestone terraces, hot springs and ancient ruins. - Bodrum (Bodrum): One of the most popular resorts in the Mediterranean coast with a castle of the Knights ioannitov, yacht port and a vibrant nightlife, including the largest discotheques in Turkey. - Marmaris (Marmaris): Pride of the stronghold of tourism - the sandy beach and a marina. - Fethiye (Fethiye) and ** Olu Deniz (Olu Deniz): The rock tombs and a fabulous beach on the lagoon - two of the true ornaments of the southern Aegean coast. - Patara (Patara): A fantastic landscape of sand banks and dunes, which stretches almost 10 miles. This is where sea turtles lay their eggs. - Xanthos (Xanthos): One of the main places where the preserved ruins of Lycian tombs and numerous. 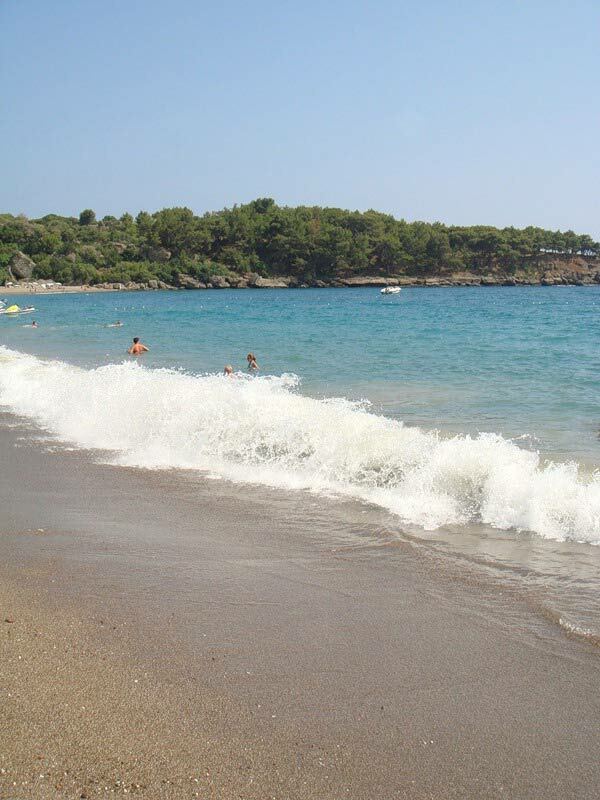 - Beach Kapu tash (Kaputas Pl aj i): The picturesque beach surrounded by coastal cliffs. - The island of Kekova (Kekova): A leisurely walk in the sea lost corners of the picturesque bays of romantic landscapes. - Antalya (Antalya): «The Queen leaves" on the south coast, with magnificent Ottoman old town and is conveniently located sandy beaches. * Duden Waterfalls (Duden) and * Kursunlu (Kursunlu): Picturesque cascades over the sea and in the canyons. - Termessos (Termessos): The ancient city of towering cliffs of whimsical wildlife national park and has never won in its history. - Perge (Perge): Theater, city gates, and many other well-preserved ancient mo-numentalnye structures. - Aspendos (Aspendos): The most well-preserved ancient theater in Asia Minor, which are still festivals. - Side (Side): A very popular tourist town with ancient buildings in the center and beautiful beaches. 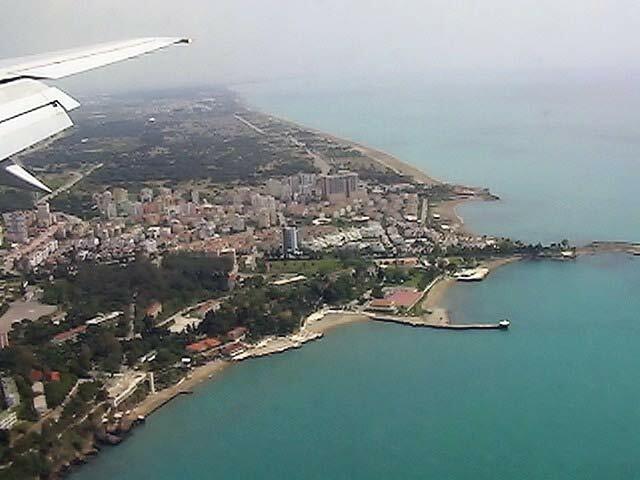 - Alanya (Alanya): Amazing Seljuk city - the fortress with a wide beach of Cleopatra. 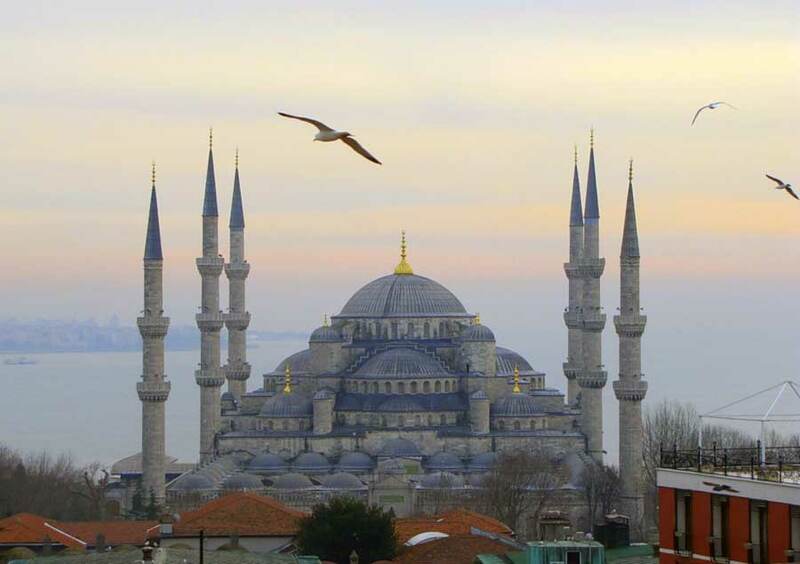 From 1 January 2012. operates a modified procedure of visa-free stay in Turkey for tourism purposes, the term of no more than 30 days stay in Turkey and can be extended for a longer period, but you must apply in advance to Department of Immigration. For visa-free entry must have a passport valid for at least 3 months after the date of the tour. In addition, you may be asked to present a return ticket or voucher and paper, and the availability of funds (at least U.S. $ 300). On the visa stamp can enter the country again, if the term of the second trip fits into the validity of the visa. In 1453. The Ottoman Sultan Mehmet II conquers Constantinople, which is now called Istanbul and became the capital of the Ottoman (Ottoman) Empire. The Ottomans capture all of Asia Minor and the Balkan Christian states. 1520-66 years. The Ottoman Empire reached zenith under Sultan Suleiman II. Turkish troops are moving up to the Vienna (1529). In 1683. The second siege of Vienna fails. Follow the Great Turkish War (1684-1699 years) is the beginning of Ottoman decline. Since 1750 As a result, the Russian-Turkish wars, the Ottomans lost all the big territory. In 1829, Turkey has to recognize the autonomy of Greece. In 1908. Young Turk Revolution led by Enver Pasha. The overthrow of Sultan Abdul-Hamid II. 1912-18 years. During the Balkan War, Turkey gives its European territory of Greece (1912-1913 gg.). After the First World War, in which Turkey played on the side of Germany and Austria-Hungary, Asia Minor under the authority of the Allied Powers. 1919-22 years. Greece occupies the western part of Anatolia, but in 1921 defeated. The mass expulsion of the Greeks of Asia Minor. In 1923. October 29, Mustafa Kemal, later Ataturk who took the name (1881-1938), proclaims the Republic of Turkey. Its capital is Ankara. Ataturk ("Father of the Turks") holds the Cultural Revolution on the Western model: in particular, religion is separated from the state (laicism), instead of the Arabic introduced the Latin alphabet, modified dress code (women are barred from wearing the burqa in public institutions), approved by monogamy (Instead of Islamic polygamy). After 1945 obrazovyvetsya multiparty system in 1952, a NATO member.